URBANA, Ill. – The USDA's National Institute of Food and Agriculture has announced a $500,000 grant to University of Illinois researchers in the Department of Crop Sciences. The project will lay the groundwork towards developing a new type of weed control system, known as genetic control, for waterhemp and Palmer amaranth. "Currently, we use chemical, physical, cultural, and biological control strategies to reduce weed populations. A genetic control strategy would be a way to introduce specific genetic controls that could change and ultimately eliminate the population," says Pat Tranel, molecular weed scientist, interim head of the Department of Crop Sciences at U of I, and principal investigator on the grant. 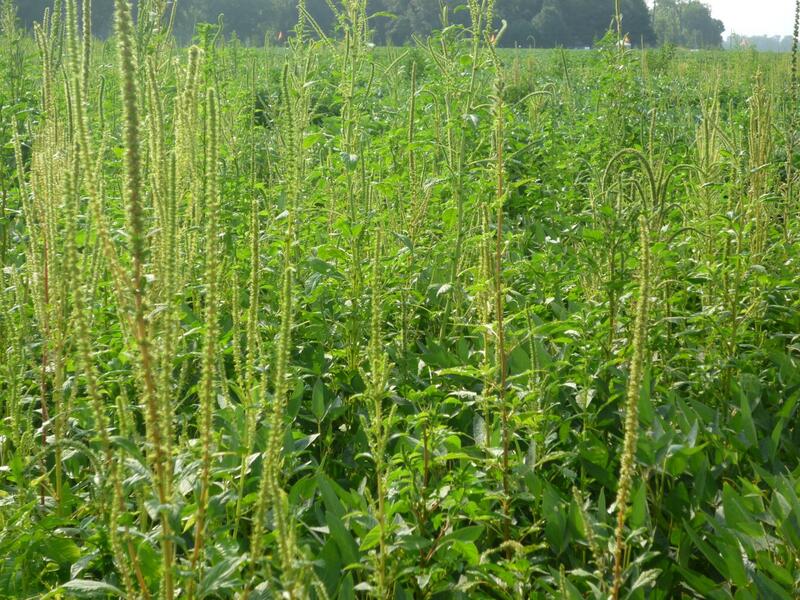 The researchers first need to identify the genes controlling inheritance of gender in both waterhemp and Palmer amaranth. They already stumbled across a location in the genome of certain waterhemp females that leads to non-viable male offspring, but they still haven't confirmed exactly how it works or developed the technology to put this gene region into another plant. "You'd first use all your normal weed control practices to get rid of as many waterhemp plants as you can. Let's say you end up with five females per acre that are going to seed; now you actually have a chance of swamping out and pollinating those five females," he says. "I'd never see this as replacing all your other strategies."